Blogger Era is a responsive blogger template, it is clean and compatible with many devices, It’s perfect for creating your blog, no need for coding as it is very customizable. 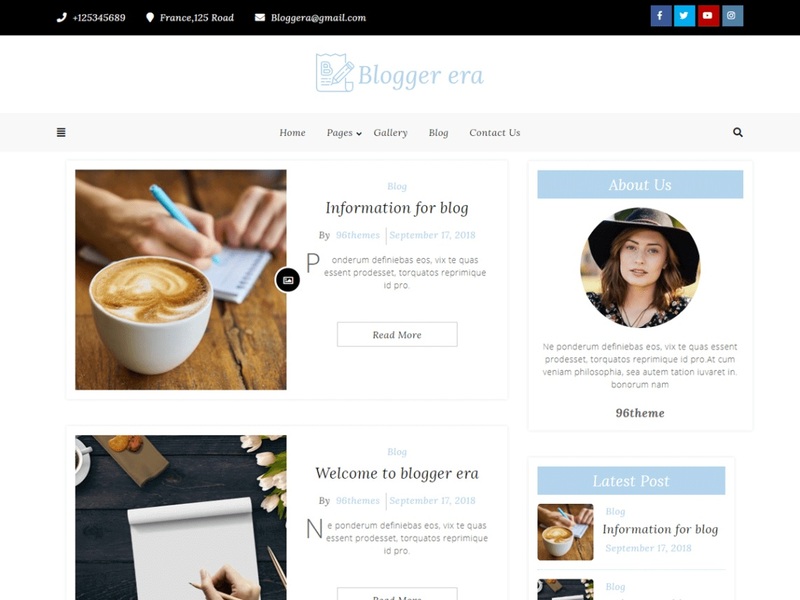 Blogger era is a clean, responsive, minimal and well-thought WordPress theme for professional bloggers, publishers, entrepreneurs, companies, news, blog, business, Lawyer, education, restaurants, cafe, portfolio etc..Blogger era is multiple themes with an eye-catching design. Here you can get a completely different appearance of your blog or magazine.